Every part of your plumbing system exists to ensure the functionality of its fixtures, and those fixtures are what make your home the comfortable place that it is. Any number of problems with your plumbing fixtures could develop at any time, and they need to be repaired as soon as possible. At Cooper's Inc., our professional plumbers can help you repair every leak, drip, clog, or other problem you encounter with your plumbing fixtures. 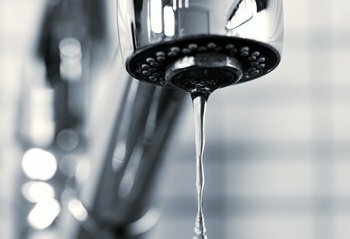 We offer expert faucet repairs and plumbing fixture replacement services. Our plumbers specialize in plumbing fixture repairs, and we understand how important your plumbing fixtures are to your daily life, so we strive to provide the highest quality work possible when you need any repairs. We can also replace the fixtures if necessary, and no matter what problems you encounter, we'll always guarantee your complete satisfaction with our plumbing services. Call us today to schedule an appointment for plumbing fixture repairs, and we'll be looking forward to working with you. When your plumbing fixtures are damaged or unable to function properly, it can make your home uncomfortable. You rely on your plumbing fixtures for not only modern comforts and conveniences, but also many necessities. Our experts will be able to ensure that your plumbing fixtures are kept in excellent condition. We'll be able to provide you with prompt, professional repairs so that your fixtures are always able to provide you with the comfort that you and your family depends on. When your plumbing fixtures are damaged, worn out, or starting to get older, they may stop working working properly—or stop working altogether. When your faucets, toilets, tubs, or other fixtures need to be replaced, our experts will be able to provide you with high quality replacements. Our plumbers will work with you directly to select your new plumbing fixtures, and we'll provide high quality installations to guarantee that the new new fixtures are totally functional, efficient, and reliable. If you need a plumbing fixture replacement or faucet repairs in Topeka, please call Cooper's Inc at 785-267-4100 or complete our online request form.